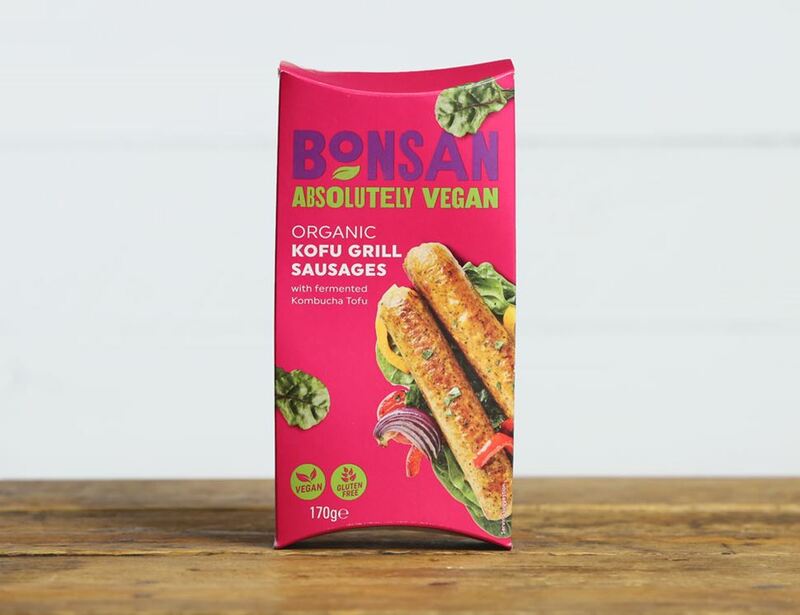 An organic, vegan banger with a difference, these plant-based Kofu Grill Sausages are made by combining soya milk with kombucha (produced and fermented on site at Bonsan). 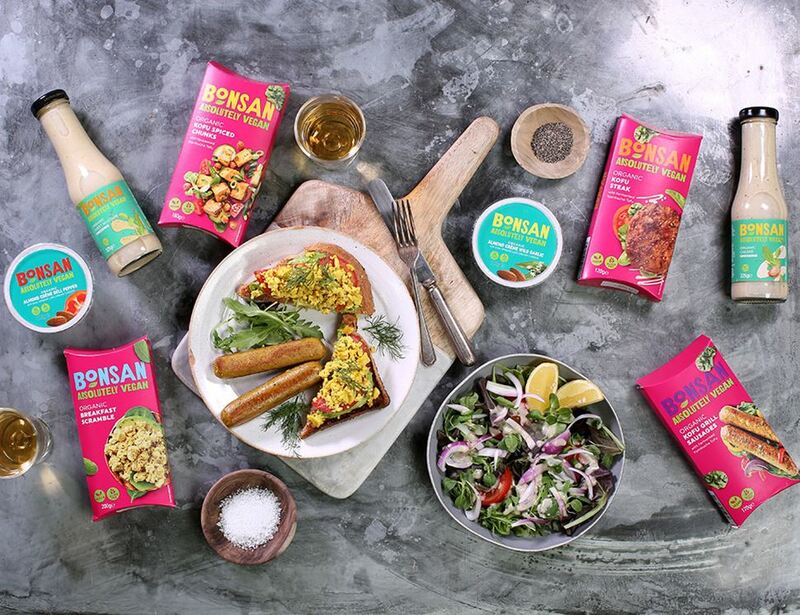 They go ever so well with some mustard and relish. Time to put hot dog night on the weekly menu, then. Keep refrigerated between 2-7C. Once opened consume within 2 days. Not suitable for home freezing. To cook: Remove all packaging and place sausages in a frying pan with a little oil. On medium heat, fry for approximately 4 minutes, or until golden brown, turning them regularly. Serve with your favourite accompaniment.